Tree School is a public artwork by Katie Holten and Seoidin O'Sullivan commissioned by the Treeline Project. 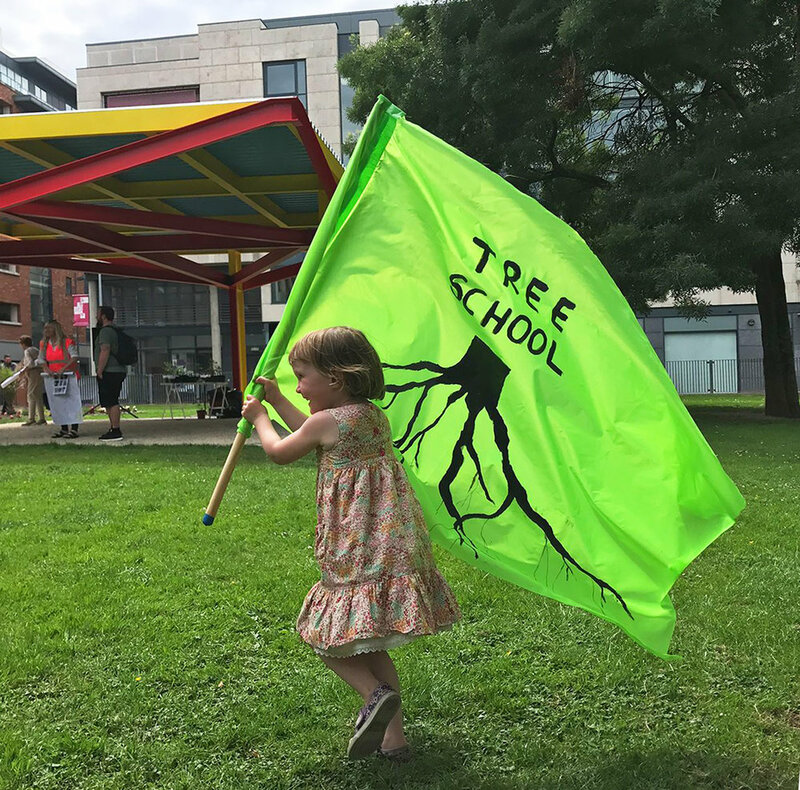 Tree School will meet almost daily at the Treeline Project's Circe Pavilion in Liberty Park on Foley Street in Dublin's inner city from July 9 – 25, 2017. Seoidin O'Sullivan with members of KIDS INC.
Look what’s branching out in Dublin: Tree School! Tree School invites visitors of all shapes and sizes, no one’s too young or too old or too small or too fat.